By the end of 2017, strategic acquisitions had grown the company from the #12 vendor to #3. After 20 years of operating in the shadows of giants like Cisco and HP, Extreme Networks finally had the breadth and depth to be a major force – and a commitment from leadership to turn up the volume. For their first ever brand campaign, they were looking to bring some edge to their story and have their audience look at Extreme Networks in a whole new light. We developed a campaign called Questions & Answers, which invigorated the brand with some attitude and a sharply defined personality, creating a clear distinction from their corporate competitors. 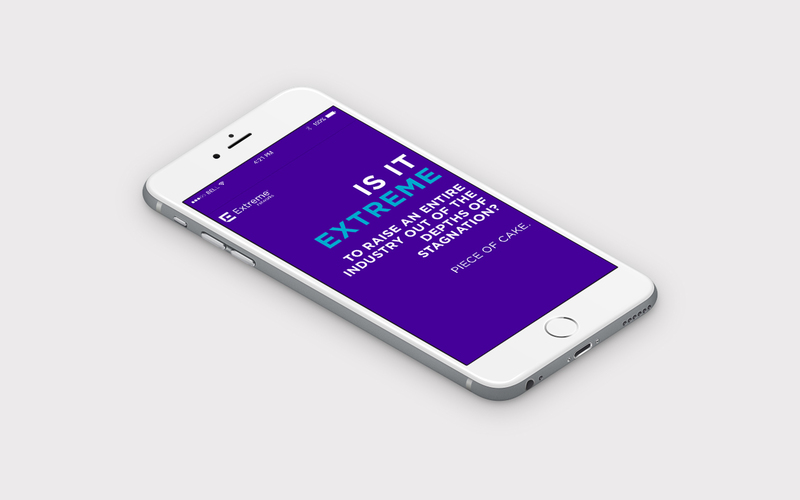 Our strategy involved an extensive media plan with a sizeable buy, including pre-roll video, digital display ads, and sponsored social posts – all of which pushed traffic to a new microsite highlighting Extreme’s offerings and bold new look. The premise of our campaign was deceptively straightforward: presenting high-level or abstract questions and contrasting them with surprising, conversational answers. Together, they boiled down the value proposition to one clear idea: Extreme Networks provides simple, customer-centric solutions to enterprise networking’s most complex questions. The campaign felt fresh both tonally and visually, with provocative questions and big text treatments supported by a striking color palette and eye catching animation. The campaign felt fresh both tonally and visually, with provocative questions and, big text treatments supported by a striking color palette and eye catching animation. We carried that look and feel through short, animated pre-roll videos produced in-house that ran on sites like Fortune, Forbes, and the Wall Street Journal. High impact units and HTML5 banners supported the campaign launch with visually engaging, animated ads. Sponsored posts delivered on our confident and jargon-free message to audiences on Facebook, Twitter & LinkedIn. 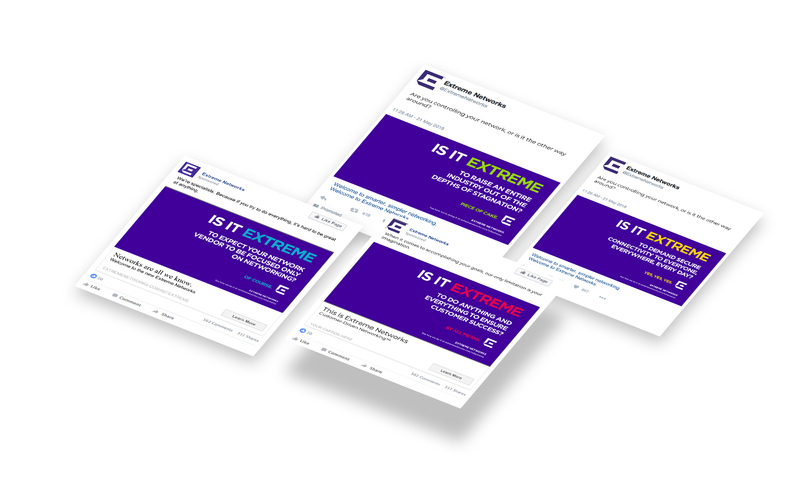 The pre-roll videos, display ads, and social posts all drove people to our Is It Extreme site, where IT decision makers could dive deep into Extreme’s offerings alongside a slew of supporting materials and customer testimonials. The pre-roll videos, display ads, and social posts all drove people to our Is It Extreme site, where IT decision makers could dive deep into Extreme’s value offering alongside a slew of supporting materials, statistics, and customer testimonials. With 36 million impressions to date driving over 35,000 (and counting) microsite visits, the campaign is succeeding in getting the word out on the newer, bolder Extreme Networks.